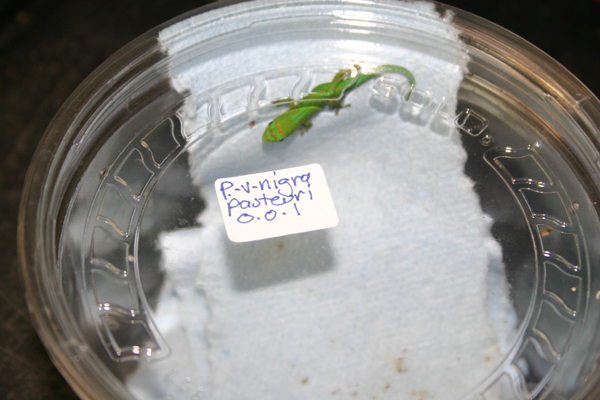 Care of small Day Gecko species like P.laticauda and P. klemmeri requires specialized techniques that take into consideration their small size, moisture and nutrition requirements. 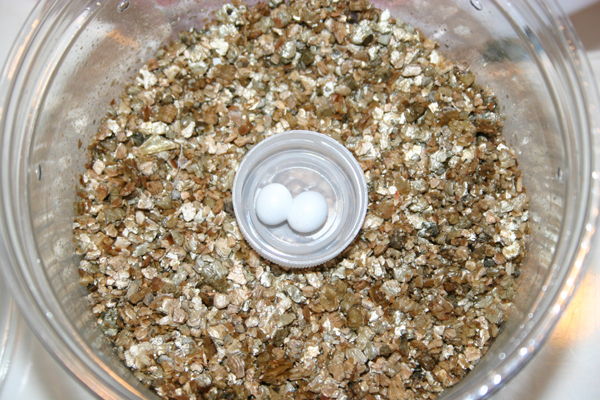 When they hatch out they are quite tiny as seen here. Julie sets them up in clear 16 oz Solo brand deli cups from Superior Shipping Supplies. 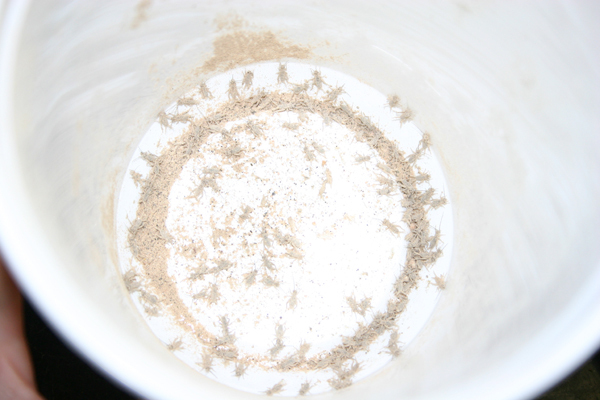 The cups are misted and then paper towel strips are put in to offer the geckos both shelter and a place to climb. 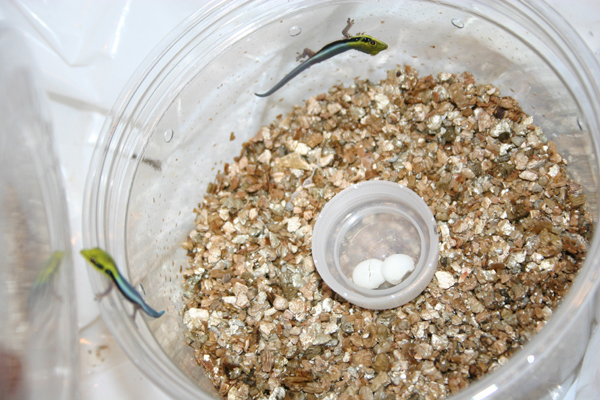 Once the cup is prepared then the gecko can be relocated from their incubation container. 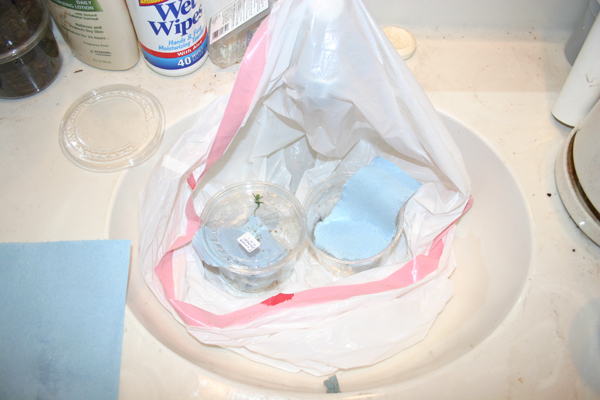 Julie uses a special Day gecko set-up with a plastic white garabage bag in her sink to slow down escapees. 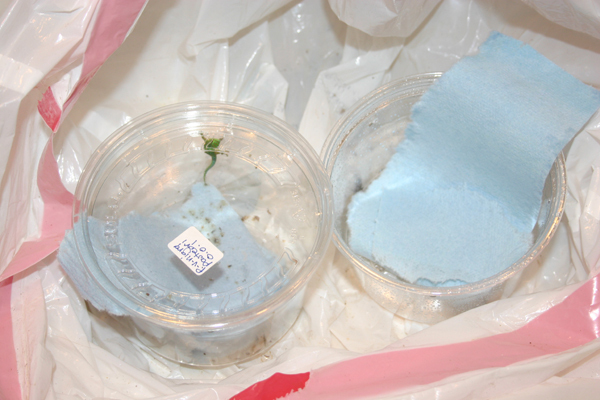 Use a paper towel strip to "herd" and transport them into their new container since they are too small to pick up with your hands. 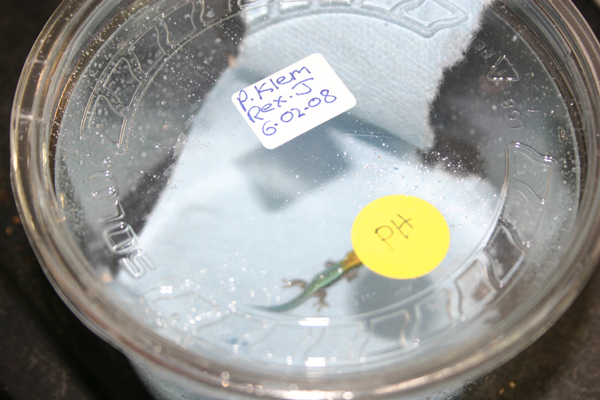 Here are some small Phelsuma species in their cups. 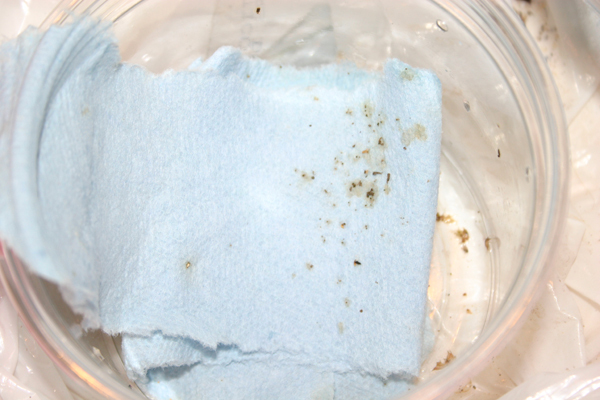 Hatchling geckos this size start on pinhead crickets (left) and then move up to one week old crickets (right) as soon as they are able to eat them (about one to two weeks). Julie sprinkles Calcium Plus supplement on the crickets at each feeding, which is once daily until the geckos are large enough to eat two week old crickets. 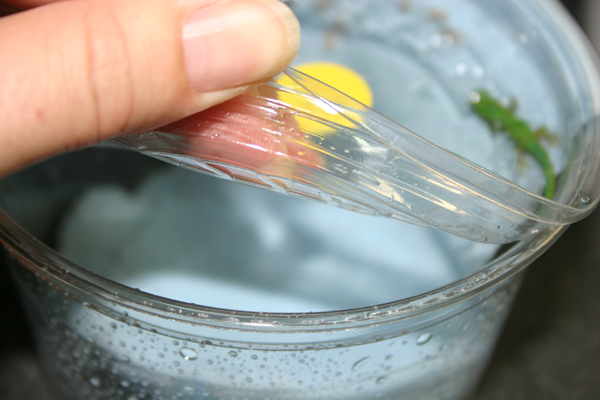 Just peel back the lid a little to mist or drop in food, this helps avoid escapees. 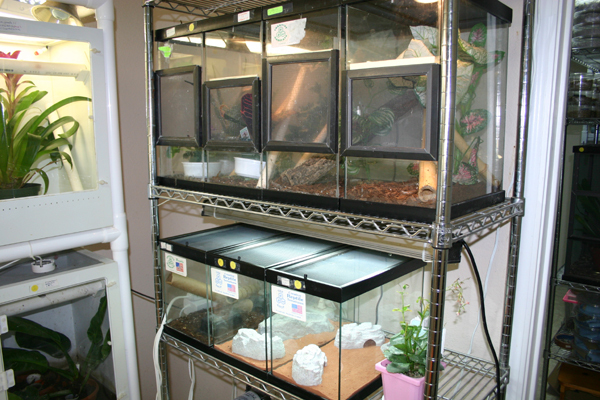 Avoid getting supplement in the gecko's set-up as this quickly results in toxic mold or bacteria contamination. 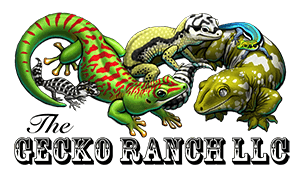 Too many crickets will stress out the gecko, so avoid that too. 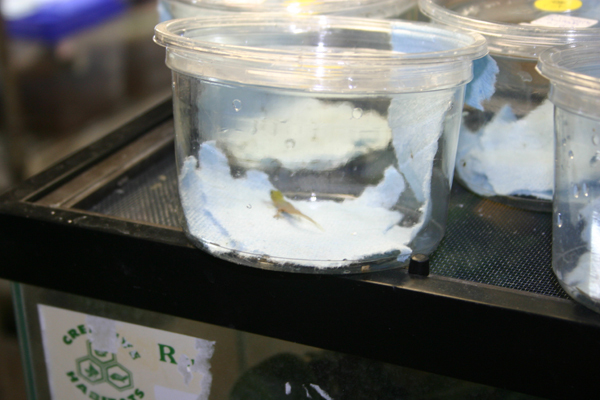 Put in only about six crickets per feeding. 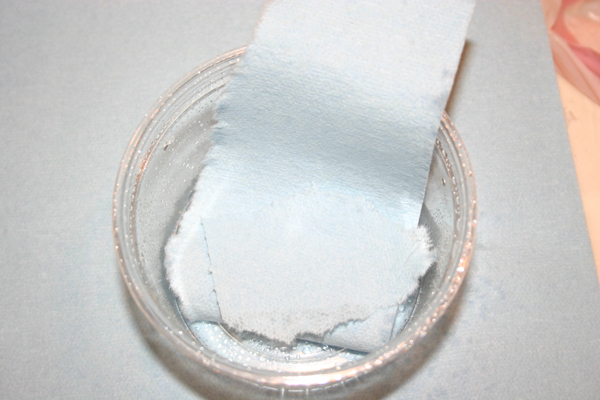 Only mist the sides of the container and avoid getting water droplets on the paper towel as this also fouls the container quickly. 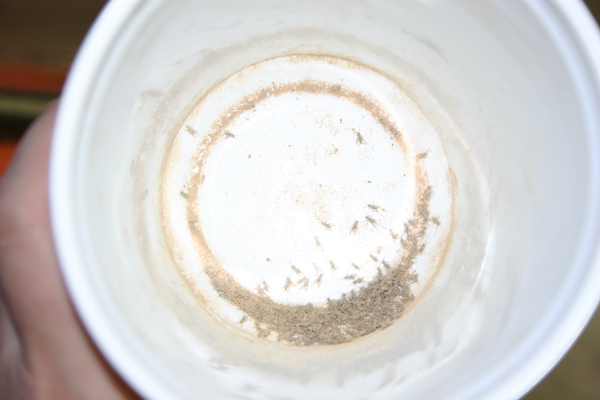 Only feed insects in these containers, a capful of Repashy MRP Diet or fruit puree will foul the container. Feed them Repashy MRP Diet once they are in larger set-ups. 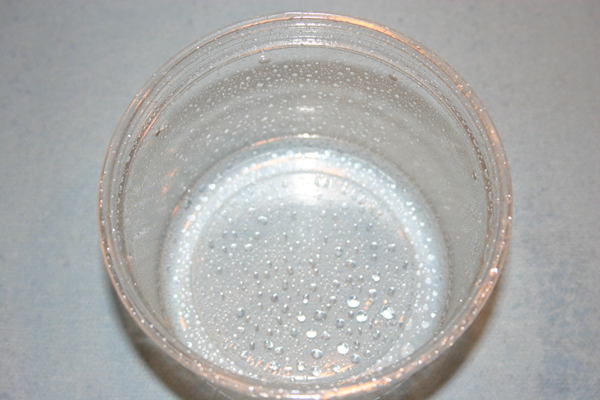 If a container is foul like the one below simply transfer the gecko to a clean one and toss it out! 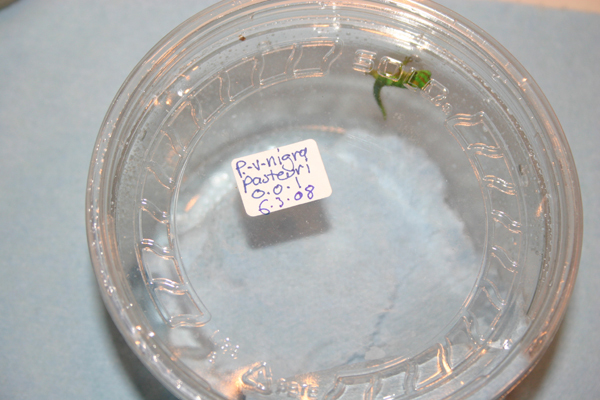 A container will have the life of about 5 days before it needs changing. 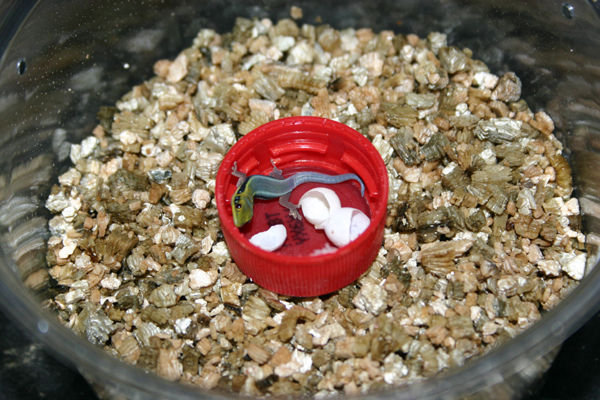 Small Day geckos are kept directly or as close to flourescent lights as possible. 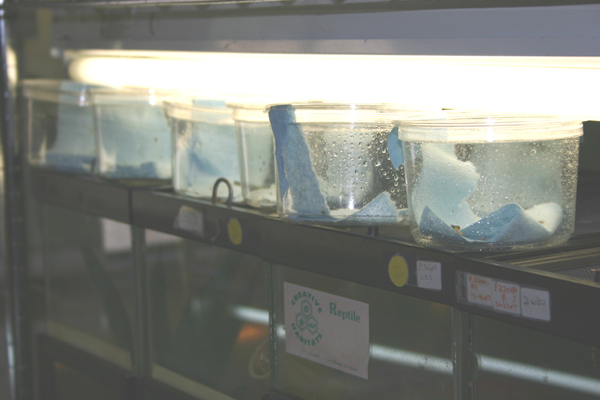 This type of lighting does not overheat their containers and provides them with the necessary bright light to stimulate proper metabolism of their food. 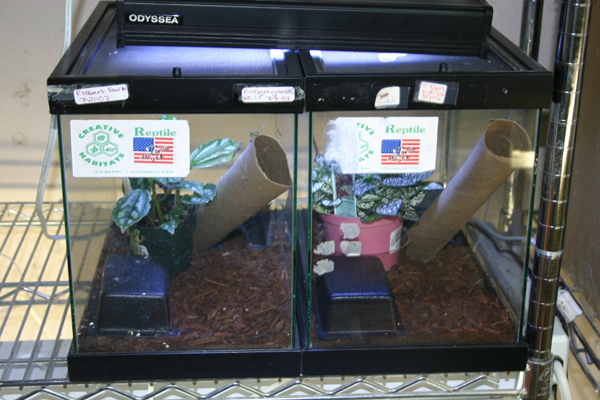 Once they are eating one week crickets well you may transfer them to larger set-ups like the ones below. 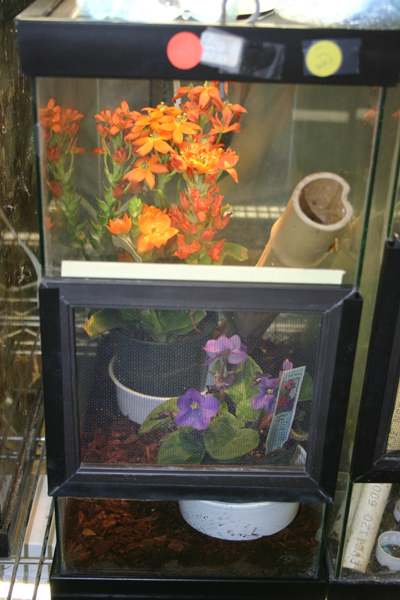 What these larger glass terrarium set-ups all have in common are sliding screen lids to help avoid escape. 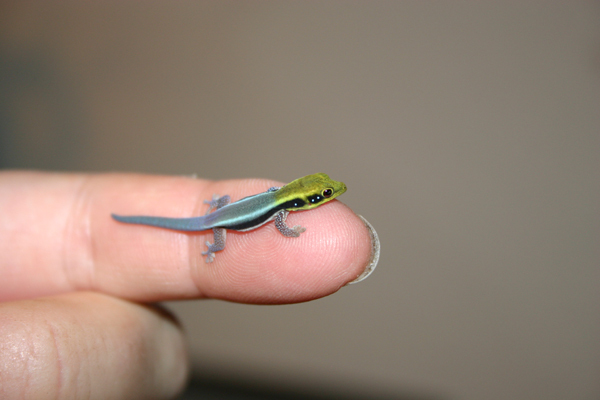 Tops that must come all the way off are useless with geckos this small. 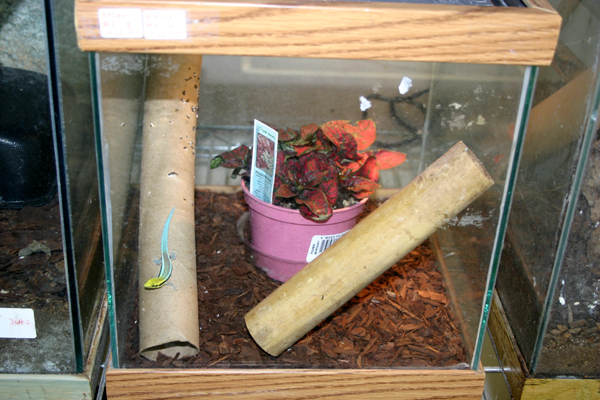 Once they are eating two week old crickets you can put them in larger set-ups with little or no gaps. This is a 10 gallon with a custom made front slider - if you can avoid opening the top of the terrarium that is best for Phelsuma!